Hurricane Sandy wreaked havoc on corporate travel, crippling a good portion of the business economy by preventing companies from getting their top people from Point A to Point B. And although a stormzilla like Sandy can throw an oversized wrench into even the most carefully orchestrated travel management plans, catastrophic events like these are generational; winter happens every year. Between Jan. 3 and Jan. 6 last year, U.S. airlines were forced to cancel more than 16,000 flights, or about 17 percent of flights scheduled, leaving travelers stuck, some for multiple days. 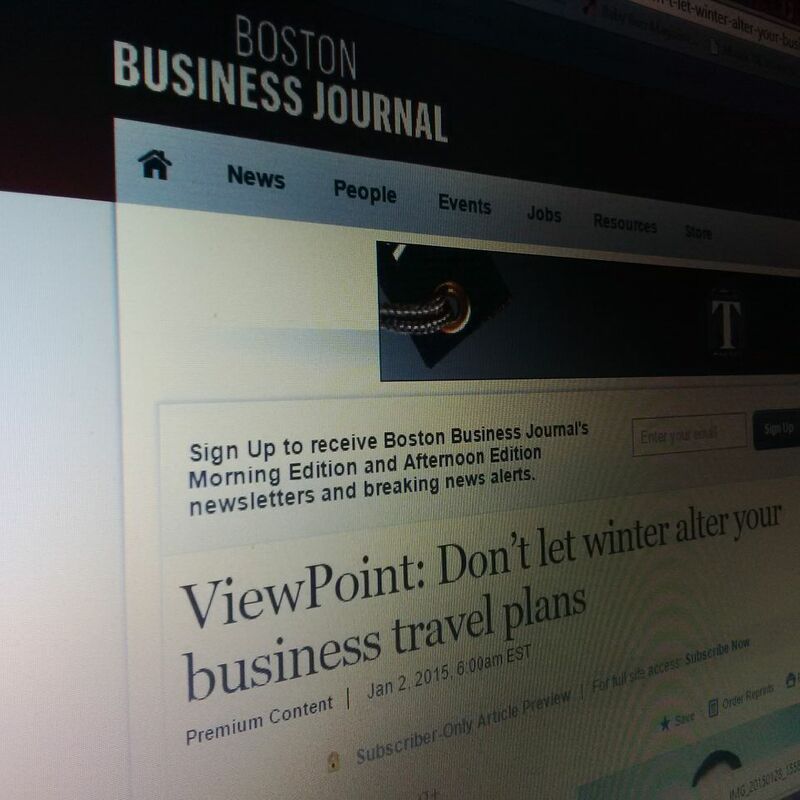 For the full story in the Boston Business Journal please click here.